"Hainanese chicken rice is Malaysian." My Hainanese-Singaporean mind boggles at the stunning self-contradiction in this reported statement by Malaysian Tourism Minister Ng Yen Yen. 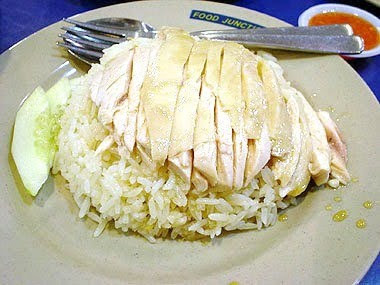 Isn't Hainanese chicken rice Hainanese? It's right there in the name! Would it make sense if I said, "Penang laksa is Singaporean"? Or "Hokkien mee is Teochew"? Or "French fries are American"? No, wait ... now I'm really confused. Speaking of Americans, when I was living in the US many years ago, I came across a place called Singapore Restaurant in the phone book in Denver, Colorado. I was so excited by my find. At last, a taste of home half a world away from home! I even looked forward to meeting the Singaporeans I assume would be running the place. But when I got to the place, it turned out to be just another generic American Chinese restaurant, dispensing kung pow chicken, low mein and fortune cookies. No satay. No roti prata. No char kway teow. There wasn't even any attempt to decorate the place with a Singaporean theme. No Singapore flag. No orchids. 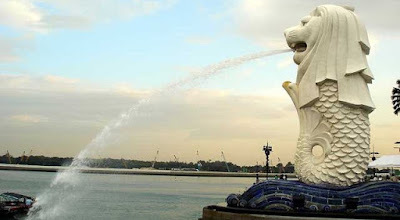 No merlion. No portraits of Lee Kuan Yew. I asked the American-Chinese waitress if there were any Singaporeans there. She said the restaurant was started by a Singaporean, but he had left a few years earlier. I felt cheated. Singapore Restaurant was a fraud. Then like most people who realised they had been conned, I felt stupid. 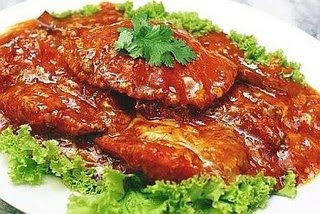 How could I be so foolish as to expect that anyone in Denver, Colorado, would know or care what Singapore food really was? The restaurant might as well had been called "Hong Kong Restaurant", "Taiwan Restaurant" or "Great Wall Restaurant". "Singapore" was just another Oriental-sounding name to the Americans. I was not the target market. But since I was already there, I just ordered the fried rice and egg rolls. The fortune cookie came free with the meal. Clearly, Singaporeans are also not the target market of any Malaysian tourism branding campaign that claims chilli crab is Malaysian. When Singaporeans go up north for chilli crab, it's not because it's a national dish of Malaysia, but because we are willing to risk getting mugged just to save a couple of bucks on seafood. Keep in mind that Malaysia is the country that brands itself as "Truly Asia". Isn't every country on the Asian continent inherently "Asia"? If Malaysia is "Truly Asia", are the other Asian countries "Dubiously Asia"? Of course, our own "Uniquely Singapore" tourism tagline is no better. It has about as much meaning as "Singapore: Just do it" or "Singapore: I swallow". I think Malaysia's "Truly Asia" tagline is meant to imply that the country somehow represents all (or at least a few countries) of Asia in its multi-racial society. Actually, this can be applied to Singapore too, but we're magnanimous enough to let them have that one. Anyway, to build this pluralistic brand image, it makes sense for Malaysia to claim dishes from as many different ethnic origins as possible as the country's own. And while Singaporeans - and many Malaysians - are baffled by these claims, to most people outside South-east Asia at whom the campaign is probably targeted, the question is more likely to be "Is Malaysia the same as Malawi?" Wait a second, I just remembered something. My Hainanese mother cooks chicken rice. She is a Singapore citizen, but she was born in Terengganu, Malaysia. Does that mean her Hainanese chicken rice is ...?